Welcome to the latest post in our Collaboration Collection interview series where we highlight how some of our most loyal customers use Nulab products to drive workplace collaboration. 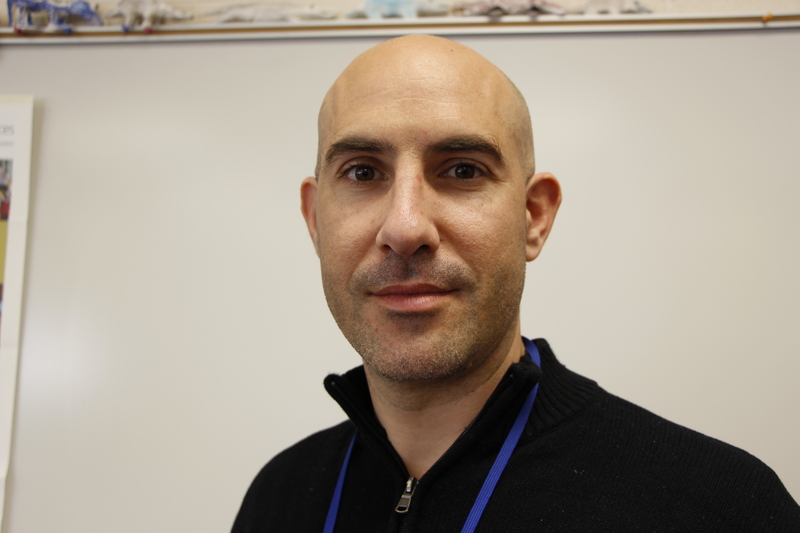 This week, we’ll be featuring Chris Eftychiou, a teacher at Northern Valley Regional High School in Demarest, NJ who uses Cacoo for Education in the classroom. Nulab: First, we would love to know more about your professional background and how you got to where you are today. Chris: My undergraduate degree is in Special Education and Elementary Education from Seton Hall University. My Master’s Degree is in Instructional Technology and Media from Teachers College at Columbia University. I have been teaching for 16 years as a special education teacher. I teach collaboratively with general education teachers in nearly all subject areas. Nulab: What got you into teaching? Chris: My father was an English teacher, and we have other educators in my family. (A common thread for many teachers.) Being around educators showed me how rewarding an experience being a teacher can be both in terms of the impact you can have on students lives, but also the quality of life that comes with the career. I was also inspired by many teachers growing up. I was the kind of kid to hang out and spend extra time at school. My 6th-grade science teacher said to me one day that he thought I would make a great teacher. So, I ran with it! Most people don’t know what they want to be by that age, but I did. Nulab: Can you tell us a bit more about your school? How many students are there total? How many classes/students do you teach? Nulab: How did you first discover Cacoo? When? Chris: My colleague and I were discussing infographics and diagrams, so I did what any educator does: I ‘Googled’ online web diagrams. I had used the software-based Inspiration years ago when we used to have PCs in our classrooms. Then, they launched Webspiration, but our school never subscribed, and I never really pushed for it. When I found a free product like Cacoo, I ran with it. Cacoo offered us the Team Plan for free as we are a public school and obviously not-for-profit. This was amazing! Since then, I have become a maven of the product in the school, but I am only now beginning to push myself to present professional development workshops on the product to my colleagues. Nulab: When did you first start using Cacoo in the classroom? Chris: I have been using Cacoo for around five years in the classroom, but I’ve used it most heavily the last two years. My classes are given a Cacoo diagram or assignment for nearly every chapter/topic we cover in biology. Nulab: What kind of assignments do you give students where they use Cacoo? Chris: There are new standards in science called Next Gen Science Standards, and Cacoo fits in perfectly as a tool for constructing knowledge in infographics and system models. We have students build system diagrams of photosynthesis and cell respiration, break down complex topics into parts, create comics, and annotate lab photos, all using Cacoo. Cacoo can also be used as a note-taking tool in parallel to instruction or to construct and illustrate complex systems. It’s all about teacher creativity. Nulab: How often do you/your students use Cacoo? The Carbon Cycle project is brand new. Essentially, students are provided a diagram of a healthy carbon cycle. They annotate the diagram describing each step in the system. Then, they are assigned a disruption, such as increased airline travel or deforestation. They have to show a before and after diagram demonstrating the effects on the system. This touches upon some great higher level thinking skills! This is a student sample of the project. See Tabs 3 and 4 for airline travel as a disruption. This is a student sample. Students are challenged to create a visual metaphor for a cell as a city. Their city can produce any product (i.e. protein) such as iPhones or sneakers. The project rubric presents all of the key organelles and students collaboratively decided what buildings in a city might represent them. Using Google Images, they find clip art to import into Cacoo to create very cool, annotated infographics of their city. This is a static worksheet our teachers have used for years that I repurposed into digital format. For this project, students are challenged to ungroup the rock and creatures to free them up. We project this diagram as we pass around a wireless Bluetooth keyboard which students use to drag around objects where they think they should go. Each time a student moves a creature from one place to the next, they voice why they are doing so. You can challenge students to diagram anything. Here they sculpted a transitional form, took a photo, and then annotated it in Cacoo. Cacoo can be used in so many creative ways in any discipline. Wolves were extinct until the 1990s, and then we reintroduced them to Yellowstone. Diagram 1 demonstrates the Yellowstone Ecosystem without wolves. Diagram 2 shows it with wolves. Students use quantity of pictures to show the changes in the ecosystem. Students print the diagrams and then justify their changes orally 1:1 with the teacher as a form of assessment and understanding. This project was used to illustrate antibacterial resistance. Using free Google images of comic layouts, students choose their layout and let creativity run. Yes, there are dedicated programs to making comics, which is great, but students already adept at using Cacoo can do this very quickly and easily. One of the most common inquiry activities ever in science is the Inquiry Cube. Essentially, you give students a cube that is missing one side, and they have to use observations to try to figure out the missing part. When the diagram is printed out, as in the teacher sample above, Snow White is cut out, folded up, and taped. Each student makes one, holding the cut-off “key.” As they go, they fill out forms of their observations. That is the blank [version] they get. And in fact, this was the first Cacoo-based [project] we did this year! Nulab: Obviously, you’re aware that there are features built into Cacoo for collaborating (like two people can work on a diagram simultaneously.) Do you/your classes collaborate using Cacoo? Whether that be between students and other students, students and teachers, or teachers and teachers? Chris: We have collaborated [using Cacoo], and it was great. I want to do more and more with that. I think [collaboration] is one of the most powerful things. Nulab: What are your beliefs about the importance of students and teachers collaborating? Do you think it enhances the educational process? Chris: One of the most powerful aspects of collaborative technology is that it allows students and teachers to work together in a safe synchronous or asynchronous environment. Students that may not feel comfortable raising their hand may want to express their knowledge on a message board or through making a diagram/infographic in Cacoo. NVD prides itself on our collaborative teaching model. We have workshops and consultations built into our schedule to help us plan for our diverse student’s needs. Our collaborative model also allows for the planning and implementation of student-centered learning using products such as Cacoo. Cacoo is so simple that more and more teachers are beginning to engage with it! The key is sitting down with colleagues to make sure they see its power. 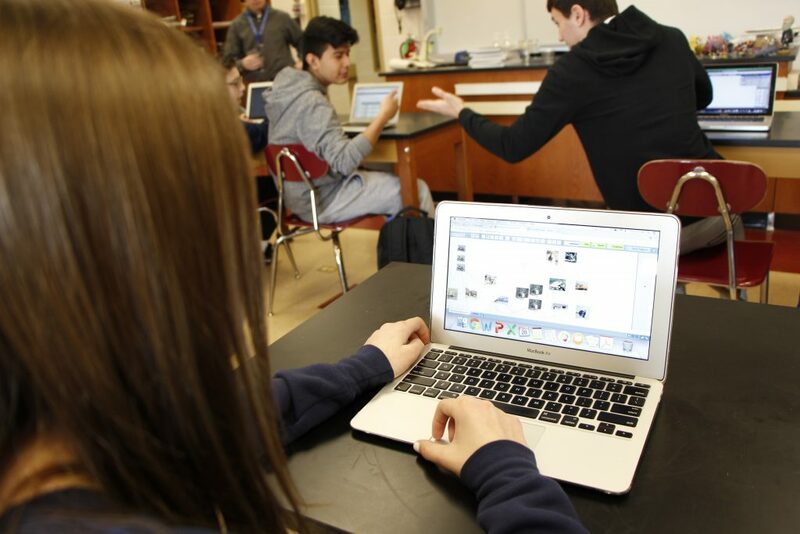 Nulab: Do you use Cacoo yourself, outside of what you assign your students? If so, what do you use it for personally? Chris: I use it for my soccer business at times. Nulab: Could you see Cacoo being useful to the school on a grander scale? For example, would you recommend it to administrators? Chris: Absolutely, and I want to stress that I plan on making Cacoo diagrams for many subjects to showcase its potential as a universal product for instruction. I think that Cacoo needs to look at an EDU version of the program that allows schools to have an Administration-level member with individual Teacher accounts who can invite students to individual classes. 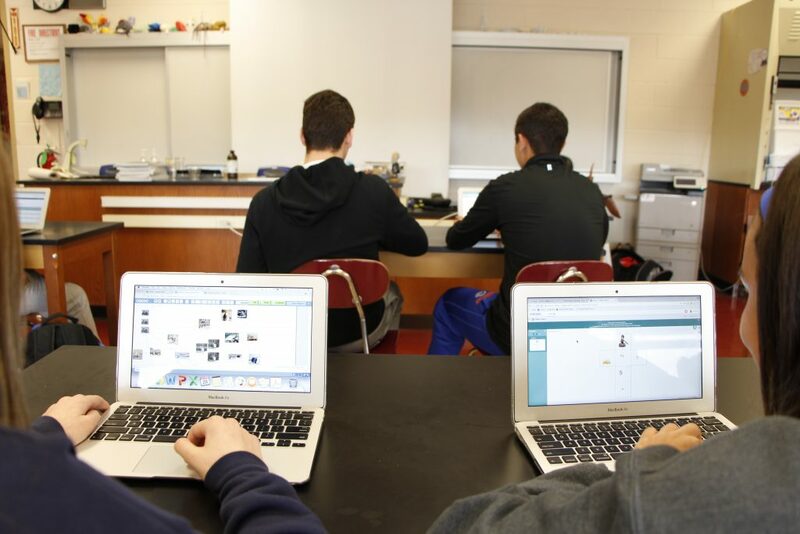 Nulab: What other digital products do you use in the classroom? Chris: We are big Peardeck users and EdPuzzle users! Nulab: What kind of shift do you see (if any) in the classroom towards digital tools being used in education? Chris: Our school has a 1:1 technology program where every student has been issued a MacBook Air. So, we are all on the same page in terms of hardware and software. We use Haiku as our backbone of instruction. This is a very powerful Learning Management System (LMS) that allows for online collaboration, online assessment, and obviously the posting of all assignments. So, all Cacoo projects are posted there and linked to there. I have some colleagues who have moved to nearly paperless. That being said, I think there will be a pushback, and we will strike a balance between innovative online tools and traditional instruction. Nulab: Thank you again for taking the time to speak with us. We know how hard teachers work these days, and sparing this time for us means a lot! Have a great afternoon, Chris! Chris: My pleasure! Take care, and it is a GREAT product. The Collaboration Collection series asks Nulab customers to share their expertise, workflows, insights, and more. Know someone who would make a great feature? Email Brandi Gratis.